Spoilers for Series 9 ahead! One of the plot threads of the 50th Anniversary “The Day of the Doctor” was the Zygon invasion that started with Queen Elizabeth I in 1562. When Kate Stewart discovered UNIT was compromised, she was prepared to detonate a nuclear bomb to destroy London and take out the Zygons. The Doctors were able to facilitate a peace treaty by momentarily wiping everyone’s memory so they couldn’t remember if they were Human or Zygon. 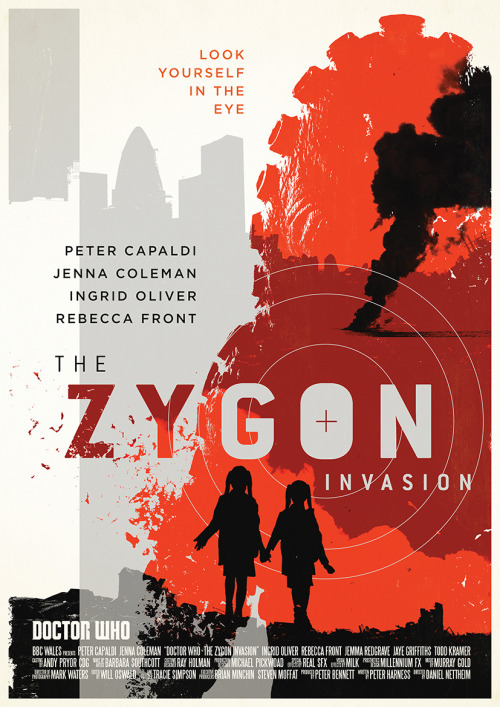 The Series 9 Zygon two parter is a followup to the 50th Anniversary special. As a result of the treaty, twenty million Zygons have been living as disguised humans on Earth. Vital to maintaining the peace is Osgood, who bonded with her Zygon double as a sister. But the peace is threatened when Missy kills Osgood. The surviving Osgood is left to grieve, while a splinter group of Zygons who are unhappy with the status quo revolt. 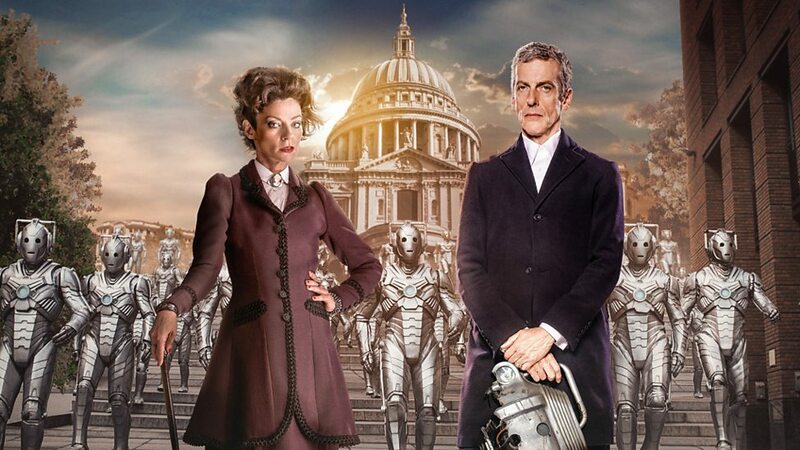 Series 8 premiered in August 2014, a year after Peter Capaldi was announced as the next Doctor. The main arc revolved around a mysterious woman who called herself Missy. She would greet people who recently died and welcome them to “paradise” or “the Nethersphere.” Throughout the series Doctor Who fans speculated about her identity. Some thought it was another incarnation of River Song, since she called the Doctor her boyfriend. Others thought she was the Rani, a villain who appeared during the Sixth and Seventh Doctors’ eras.